Wall of Recall self adhesive panels not only brighten a care home lounge or corridor but also have an important social role to play in sparking conversations. Talking through the pictures of sporting personalities and events from 1966 will trigger memories of winning the World Cup, Billie Jean King winning Wimbledon and Muhammad Ali in his heyday. 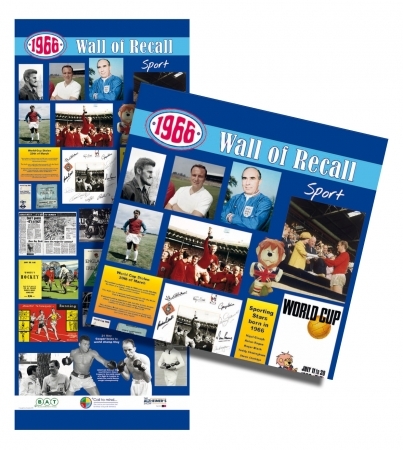 These were memorable moments from a golden era of sport which residents can share with care home staff or family and friends.